‘GOOD SAMARITAN’ KILLING CONVICTION IS OVERTURNED !!! ‘I spent 17 and a half years in jail for somethig. I didn’t do. I intend to seek compensation – Patrick Livingstone. 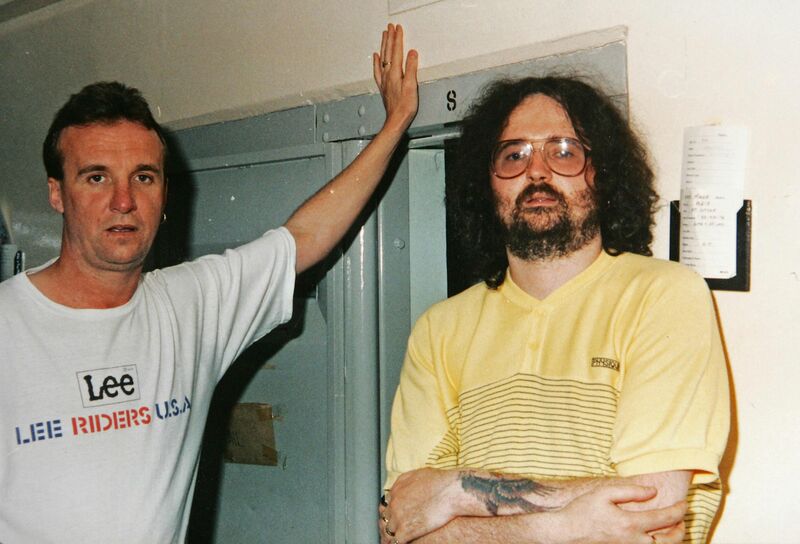 Pat Livingstone and Anthony McIntyre outside a H Block cell in 1991. A MAN jailed for the notorious murder of a council worker in Belfast nearly 40 years ago has had his conviction quashed. Senior judges declared significant uneasea about the safety of the verdict against Patrick Livingstone for the so-called ‘Good Samaritan‘ killing of Protestant Samuel Llewellyn. Patrick Livingstone leaves court with his son Cormac yesterday after being cleared of the 1975 murder of ‘Good Samaritian’ Samuel Llewellyn ; top left Mr Livingstone’s sister Julie who was later murdered by the British Army after being hit by a a plastic bullet and below right how the Irish News reported Mr Llewellyn’s murder. Their ruling was based on the alleged brutality of RUC (scumbag) officers involved in securing a statement implicating the West Belfast man. Mr Livingstone (62) descibed the decision as a vindication of his fight to clear his name. He now plans to seek compensaton for the 17 years he spent behind bars for the murder. Mr Llewellyn was abducted as he delivered hardboard to repair homes damaged by a bombing in the Clonard area of Belfast’s Falls Road in August 1975. The council cleansing department worker, from Mossvale Street on the Shankill Road, was taken to a house in Lesson Streetw where he was shot eight times by the IRA. His body was wrapped in a sheet and put in the back of a van which was then set alight. Residents of the lower Falls placed a large sympathy notice in The Irish News condemning the murder of a “man who came to the help of old people and residents”. The only evidence against Mr Livingstone at his trial came from three (discredited) RUC officers who interviewed him at Dundalk Garda Station and claimed he confessed to the murder. It was alleged that he taunted the policemen about the shooting, boasting they could do nothing about it because he had no intention of crossing the border. 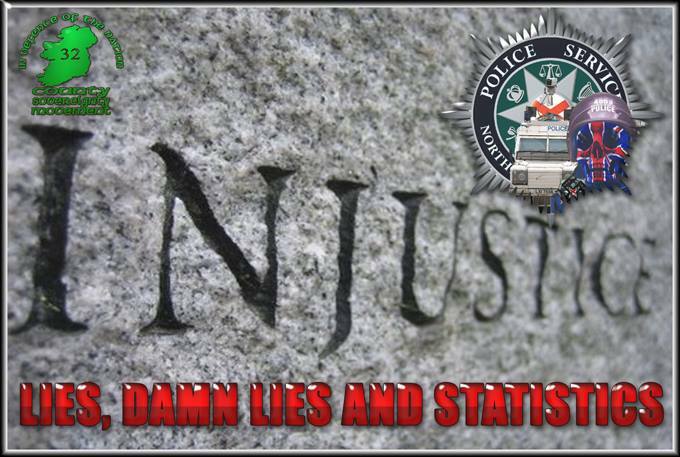 He disputed their account and denied the killing, with his defence claiming the RUC concocted a lying account. However, he was subsequently convicted at Belfast City Commission in May 1977 and sentenced to life imprisonment. Evidence had also been raised of potential wrongdoing in testimony from at least some of the ( corroupt) police interveiwers, the judge held. He confirmed : “For the reasons set out we have a significant sence of unease about the correctness of this virdict and accordingly allow the appeal.” Mr Livingstone, who was in the Court of Appeal with his son Cormac and other friends yesterday, told how the outcome has been “a long time coming”. Speaking after the verdict, he said : “I feel totally vindicated. But there’s a lot more people than me, on both sides of the devide, who went through those Diplock Courts. “I spent 17 and a half years in jail for something I didn’t do. 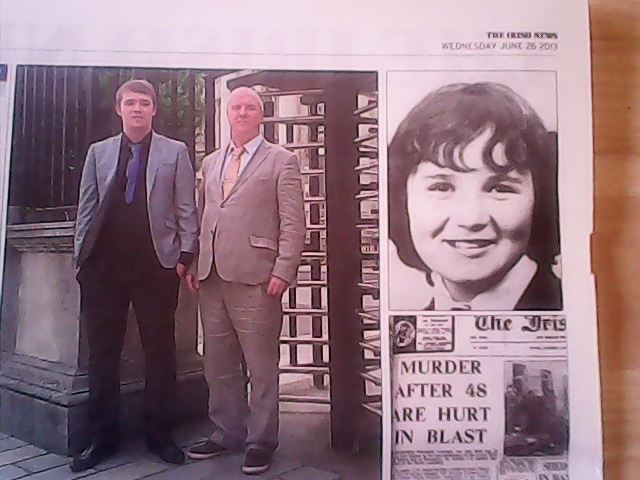 I intend to seek compensation.” Mr Liningstone’s 14-year-old sister Julie was murdered during the Troubles after being struck by a plastic bullet fired by the British army on Belfast’s Stewartstown Road duing the Hunger Strike of 1981. A brother Robin, who has written extensively about his sisters death ; is the editor of the West Belfast newspaper the Andersontown News. With many thanks to : Irish News. Previous Previous post: TOWN COUNCIL A ‘FIEFDOM FOR DUP’ !!! Next Next post: KELLY’S LAND ROVER RIDE SEEN AS MODEL BEHAVIOUR !